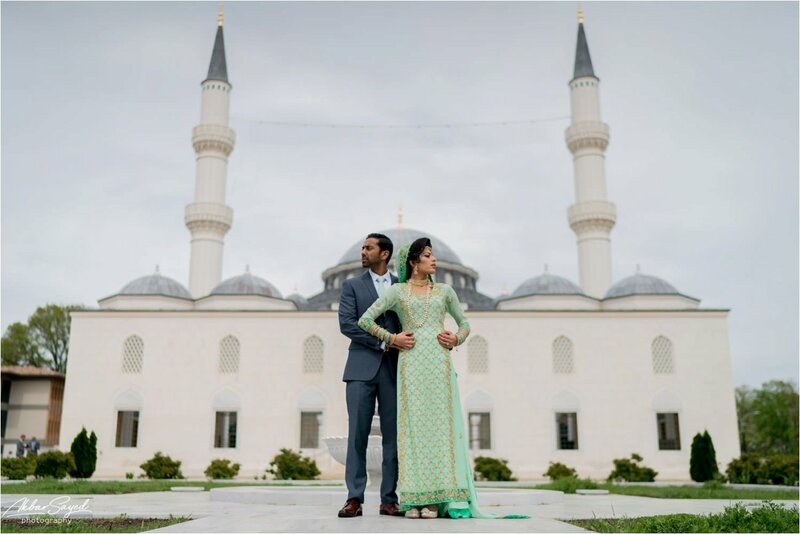 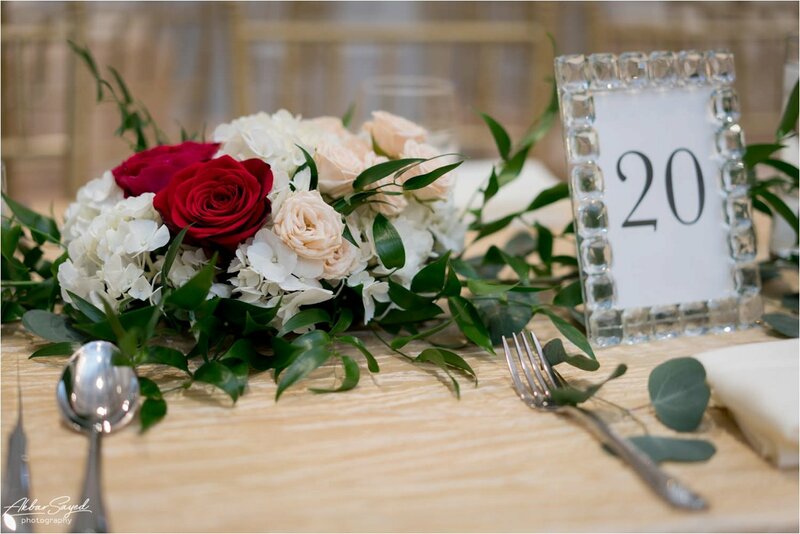 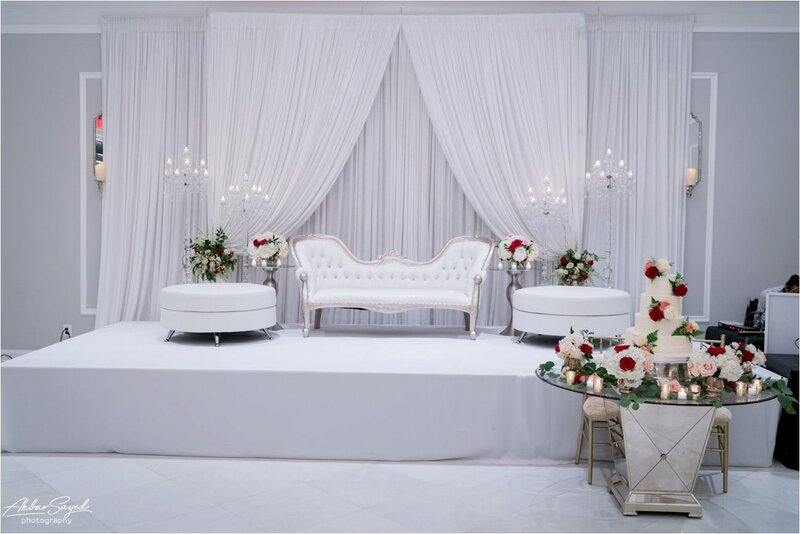 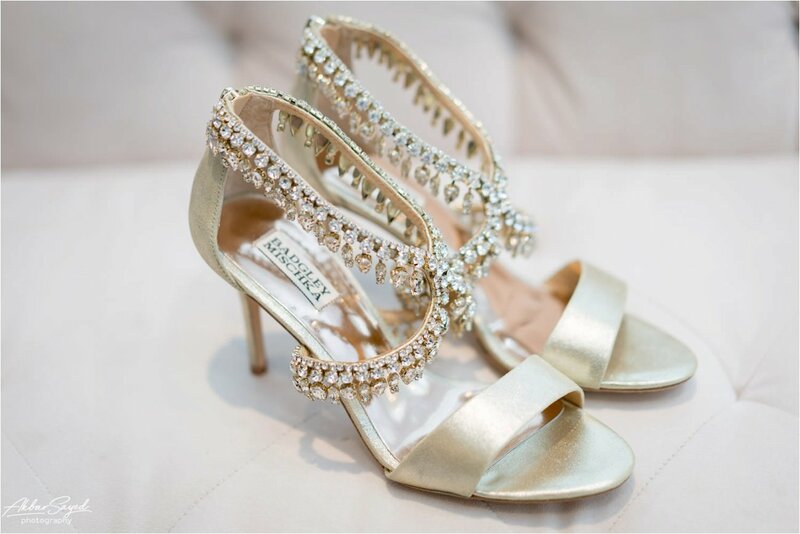 Adeela and Irfan were married on April 22nd, with a ceremony at Bellevue in Chantilly, VA, and a reception the next day at the Diyanet Center in Lanham, MD. 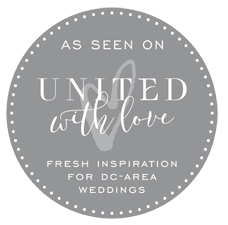 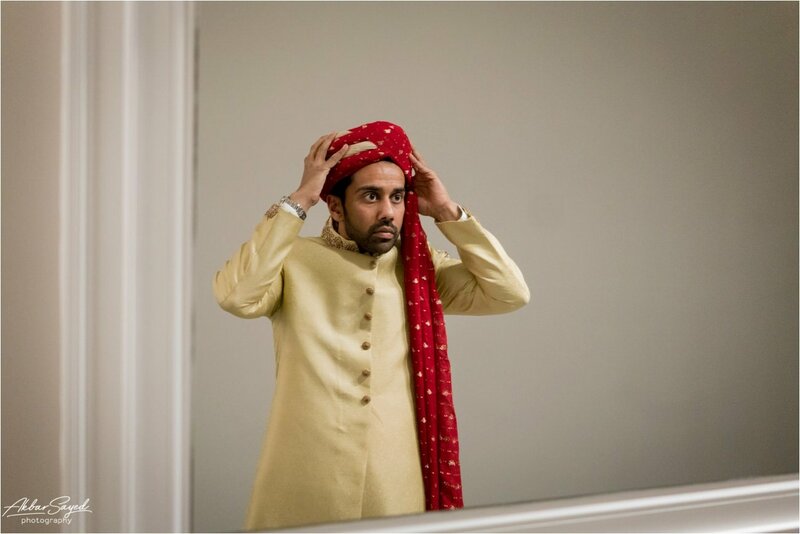 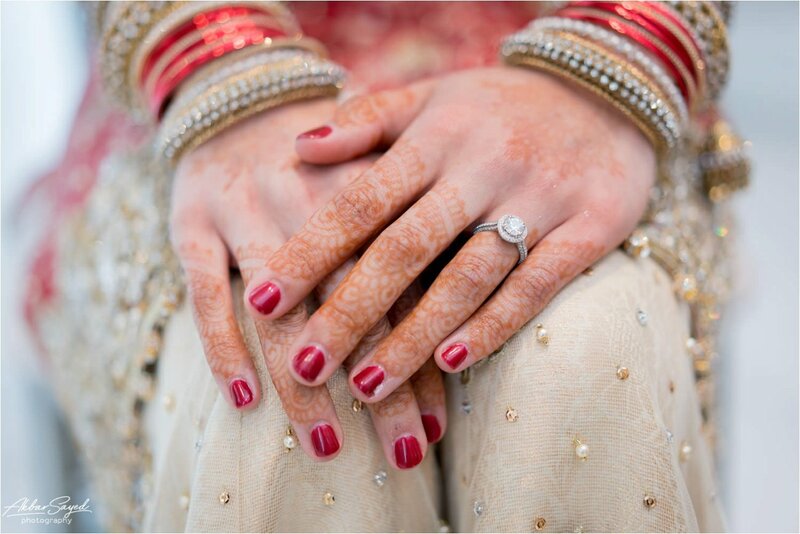 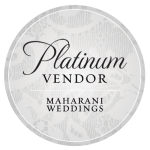 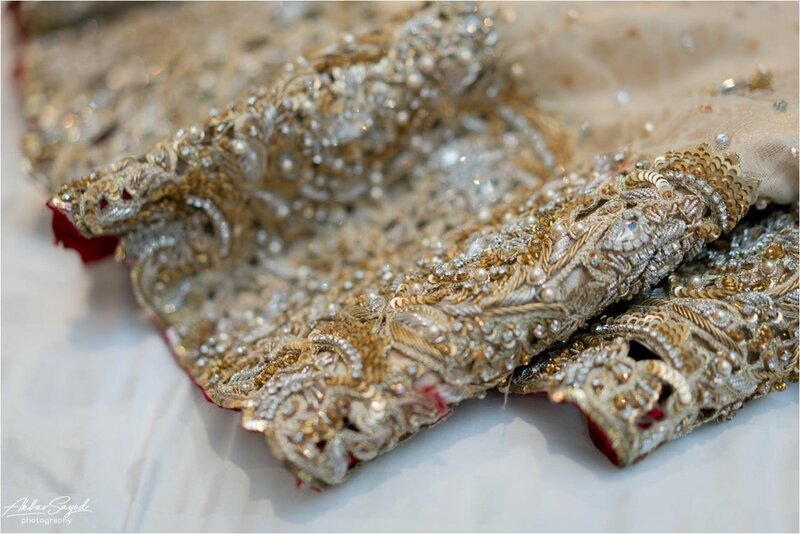 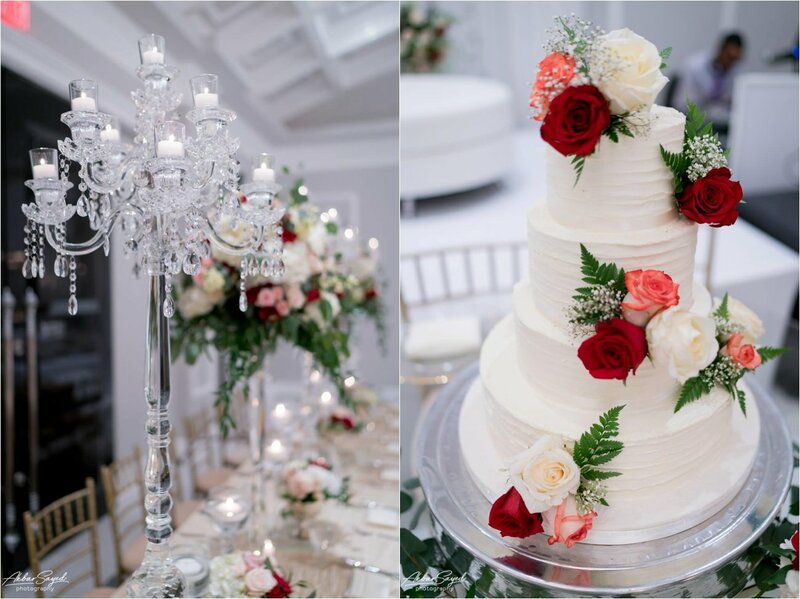 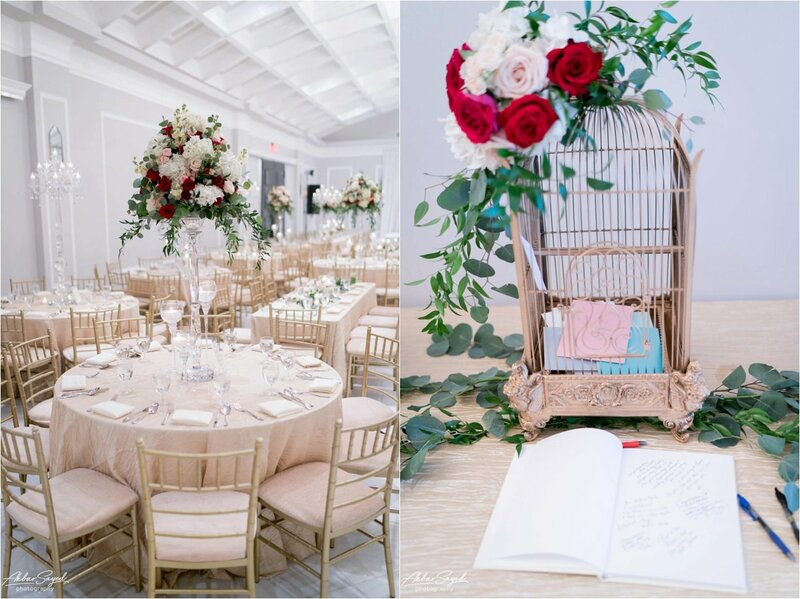 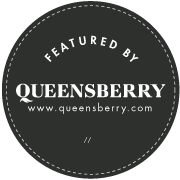 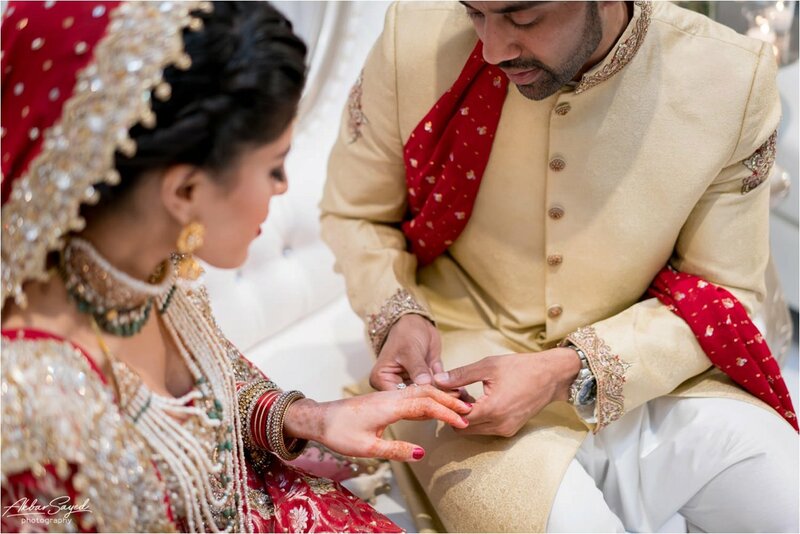 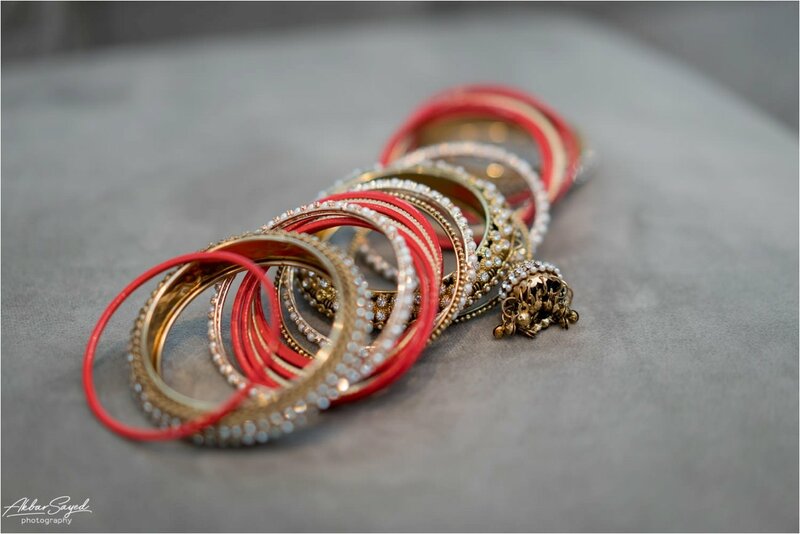 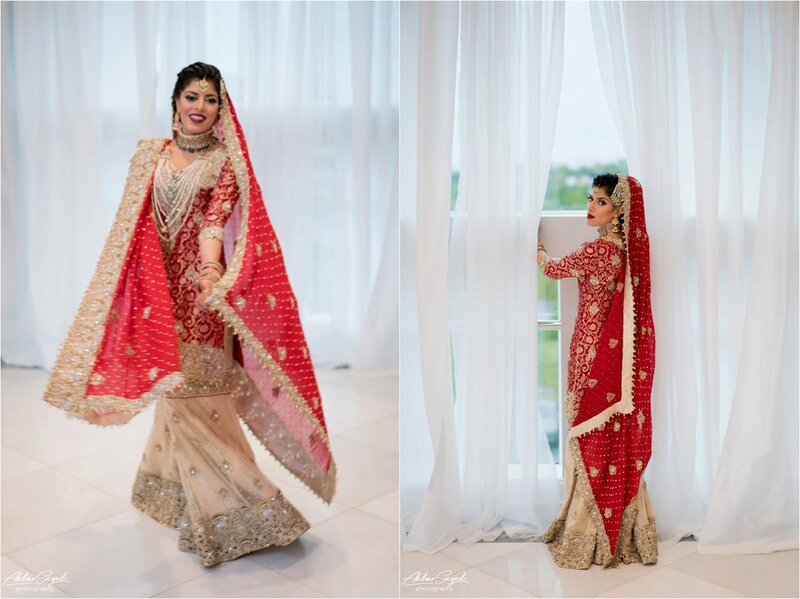 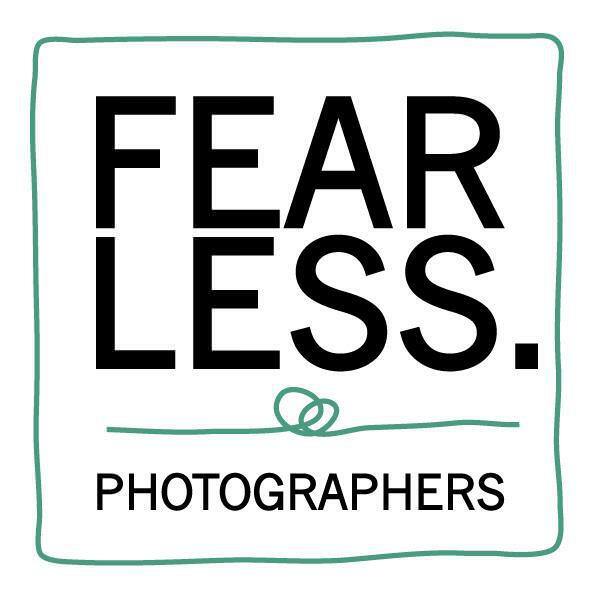 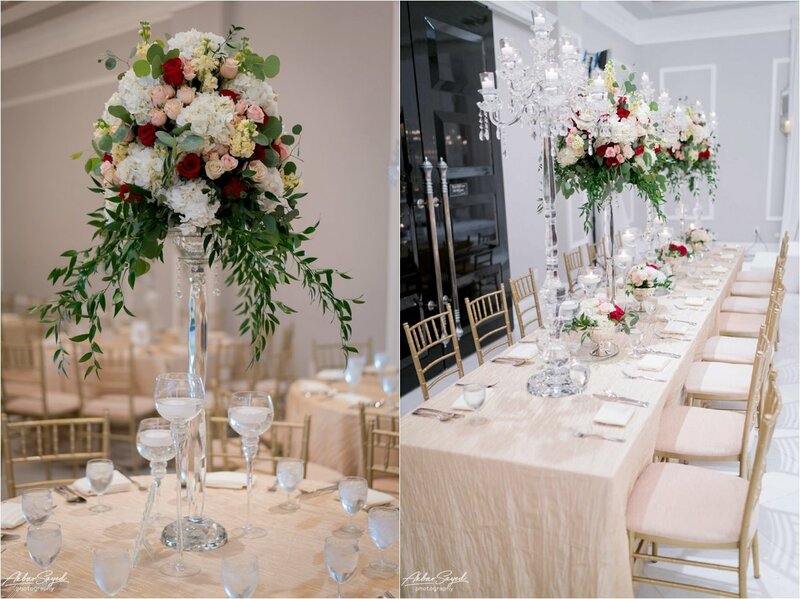 My associate, Mike, was the photographer for this wedding, and he did a spectacular job—so much so that it was featured on Maharani weddings. 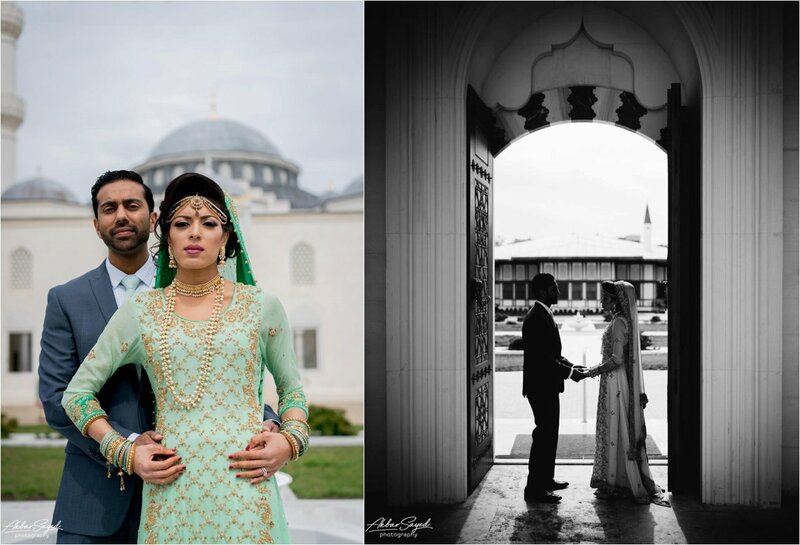 He captured their joy and love so beautifully, and I’ve personally enjoyed going through these pictures and seeing the couple’s happiness so plainly in the photographs he took. 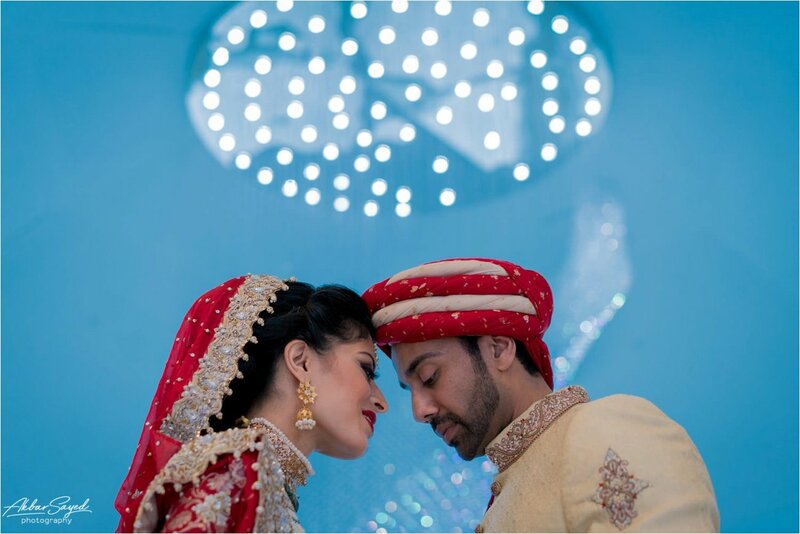 Adeela and Irfan were introduced through Adeela’s sister-in-law and Irfan’s first cousin. 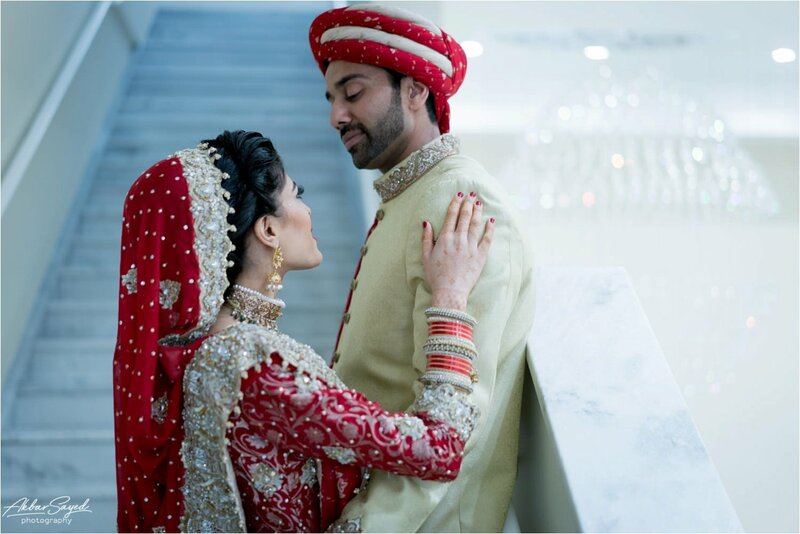 Irfan knew that she was the one he wanted to marry after the first week of speaking with each other on the phone, but for Adeela, that moment came when he flew halfway around the world, and she realized that she couldn’t stand to be without him. 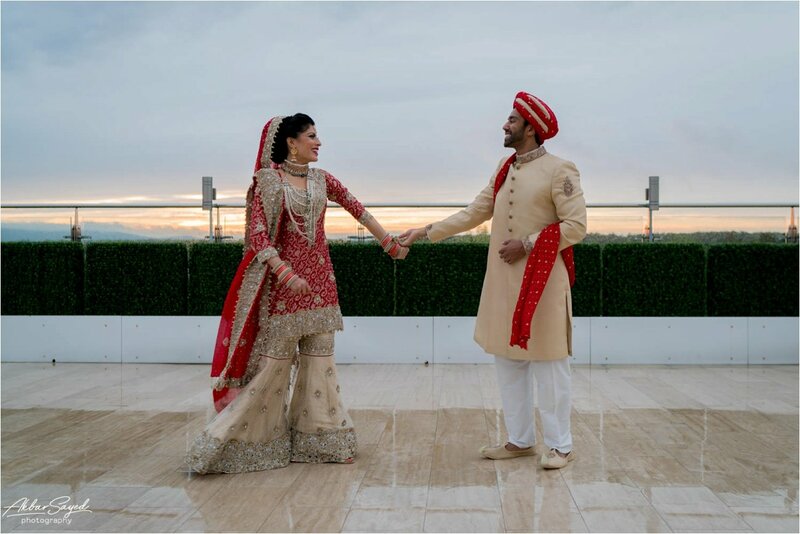 So, on midnight on New Year’s Eve, Irfan flew to Adeela’s hometown, Detroit, Michigan—to surprise her. 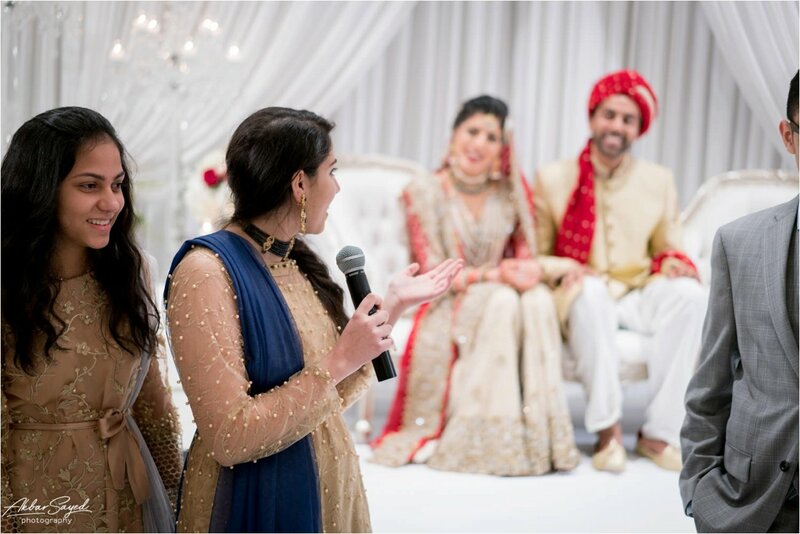 Adeela’s family was in on the surprise, and after their sweet moment of excitement together, they were able to celebrate as a family. 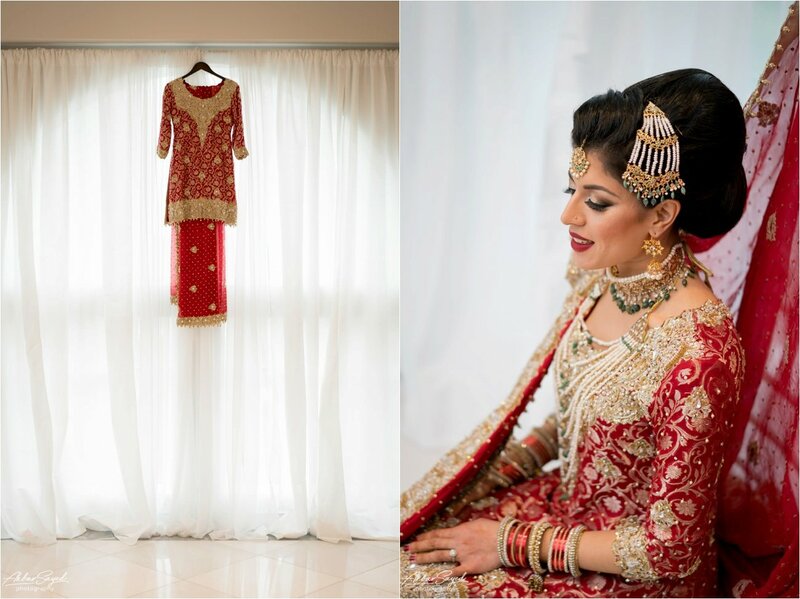 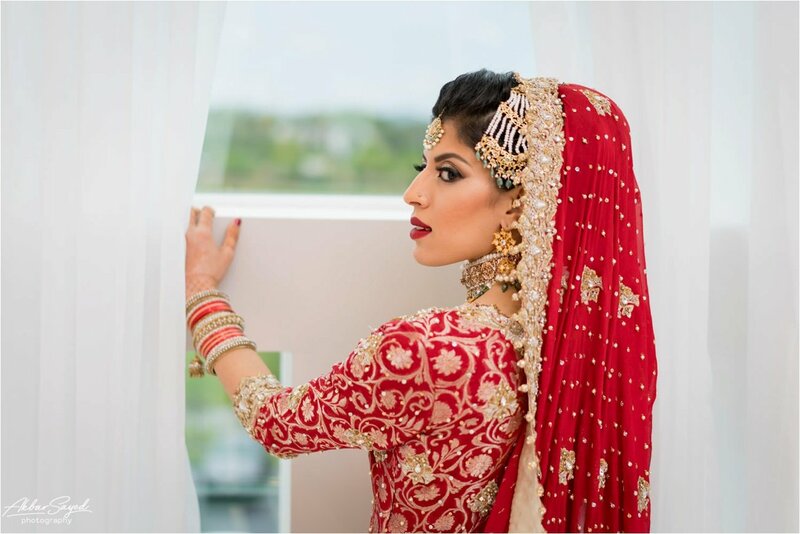 Mike started out the day with Adeela as she got ready at the bridal suite in the Bellevue before they met up with Irfan for portraits around the venue. 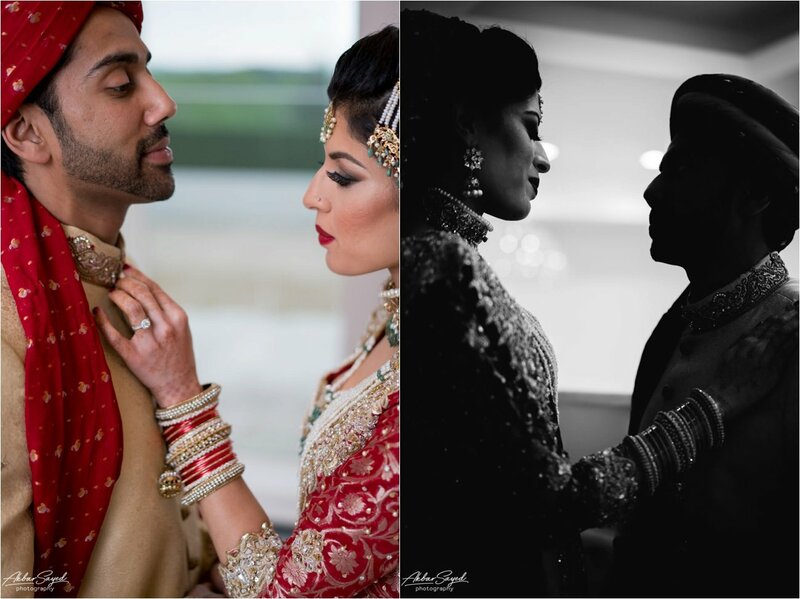 That photo shoot with just the two of them was simply stunning because it was easy to see how much they love being around each other. 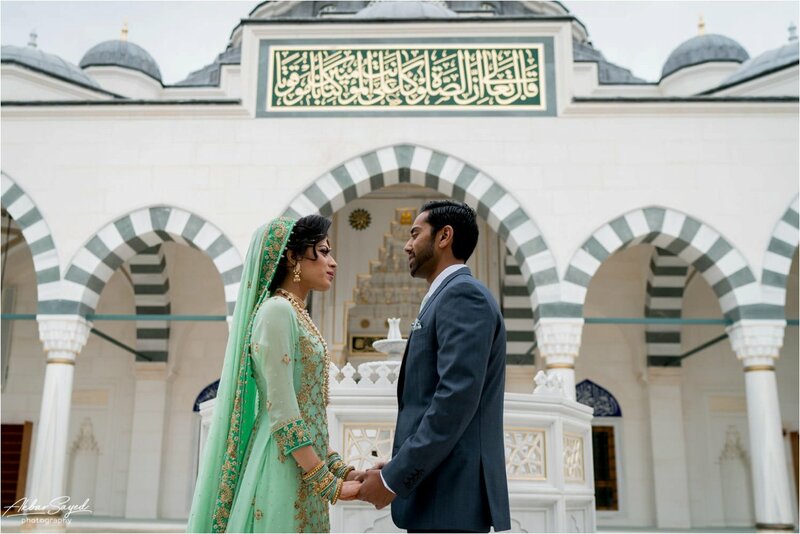 They basked in each other’s presence, even before the Nikah ceremony—and so much more so afterward. 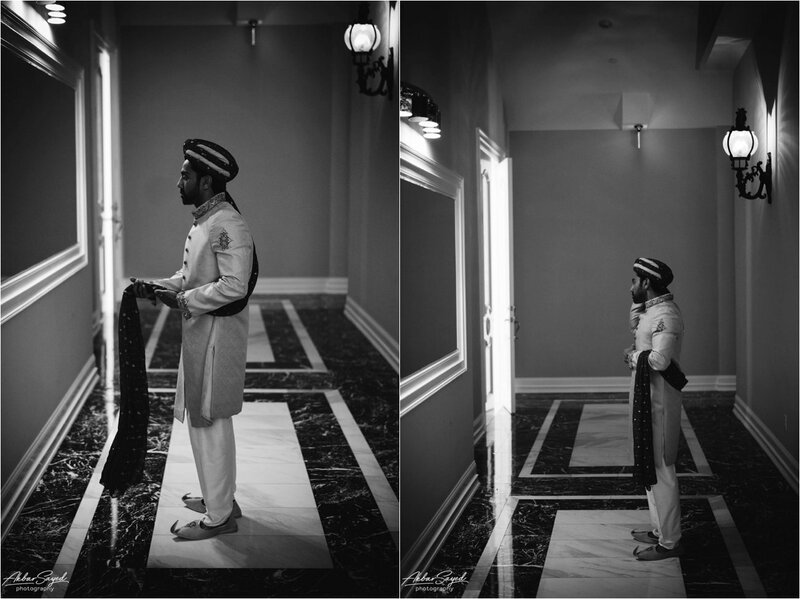 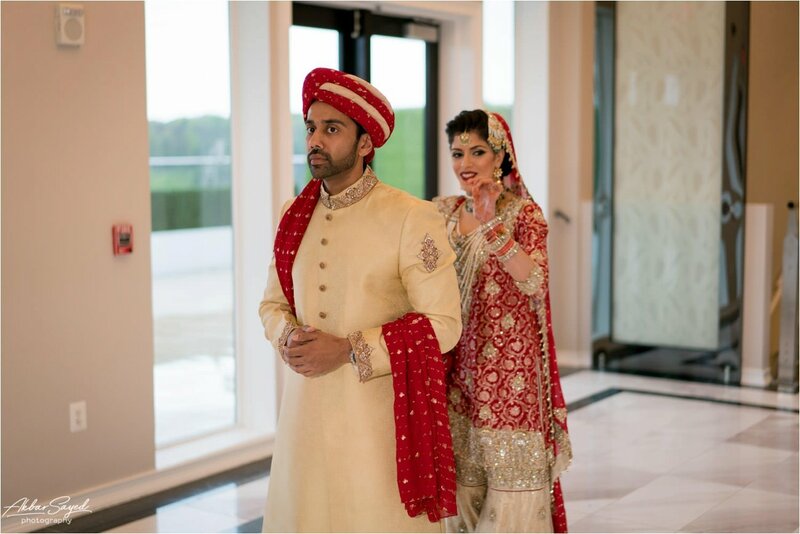 After the cocktail hour, Adeela and Irfan made individual entrances into the hall with their respective families before the Nikah ceremony itself. 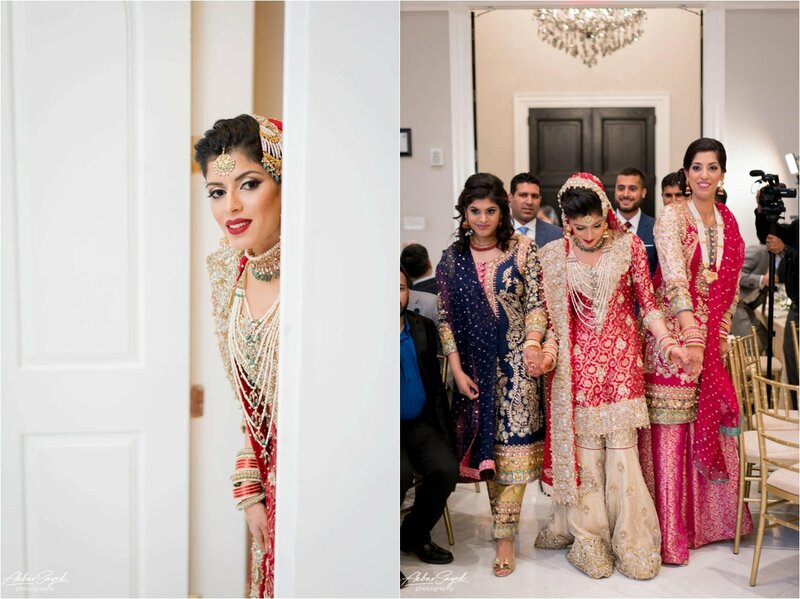 Their families congratulated them, and there were hugs all around before there was an evening prayer in another room. 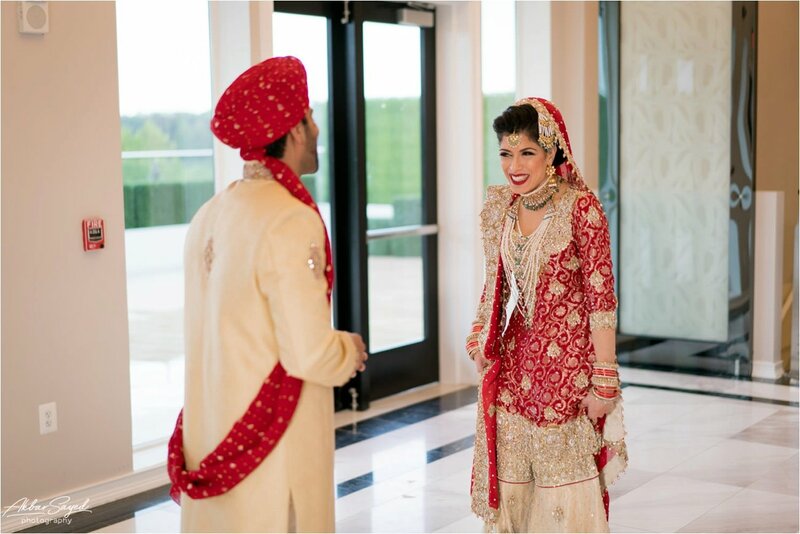 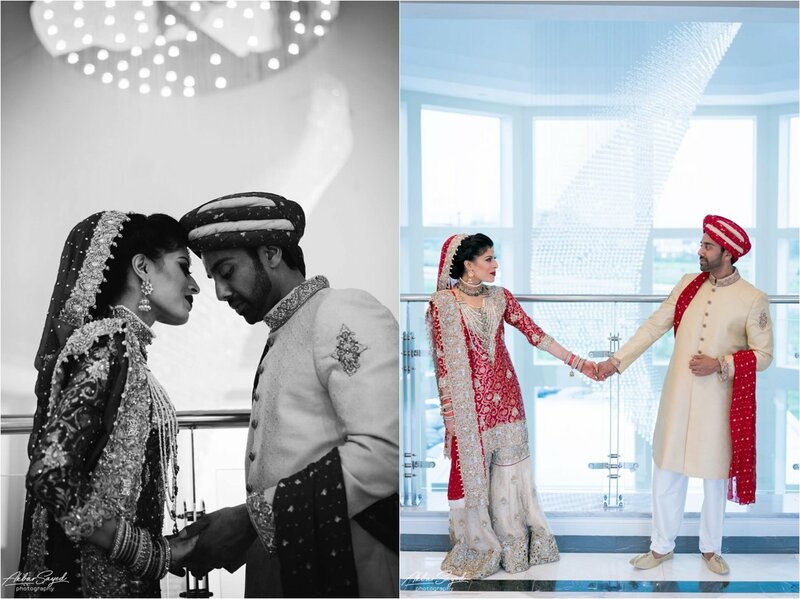 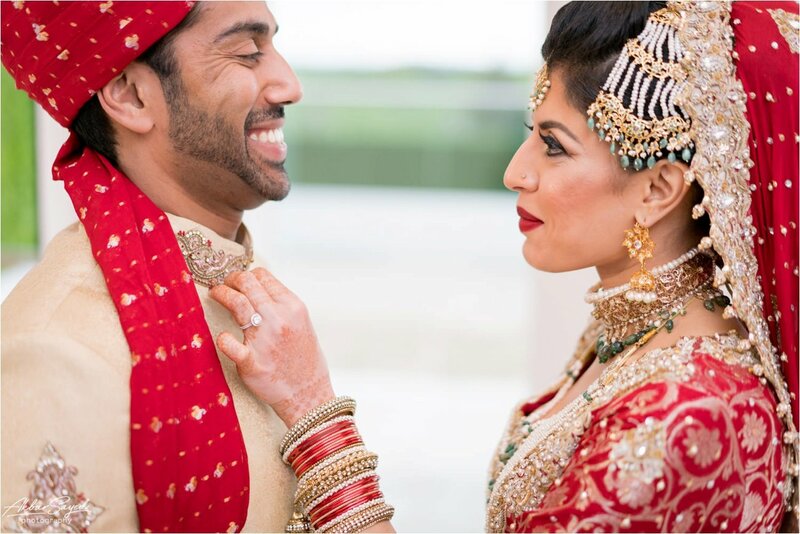 From there, it was time for celebrations—speeches, dinner, dessert, and time for friends and family to get pictures with these two on the stage before they left with their families to a traditional Rukhsati. 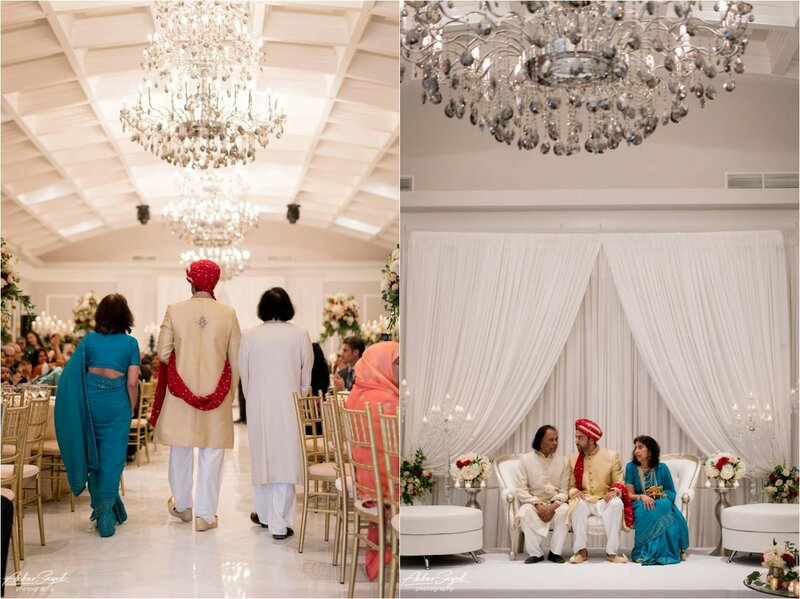 The celebration was glamorous but also filled with so much love and tenderness. 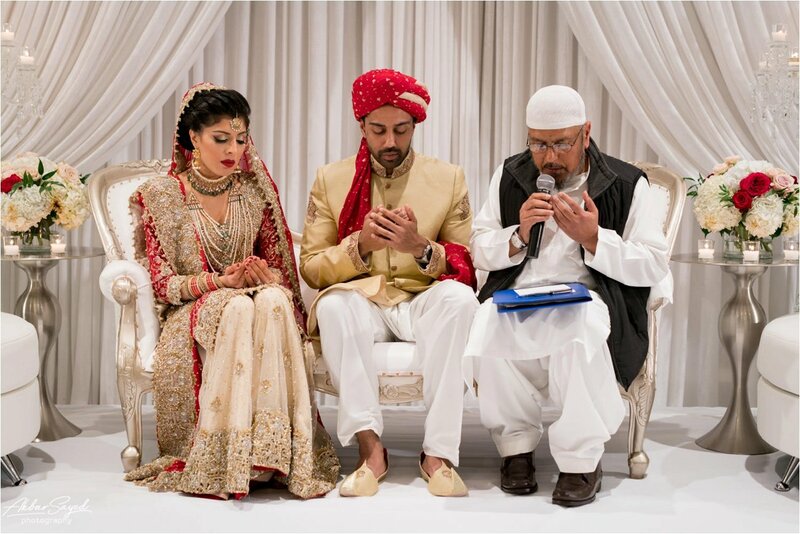 Irfan & Adeela, your wedding was beautiful, as is the love that you two clearly share for one another. 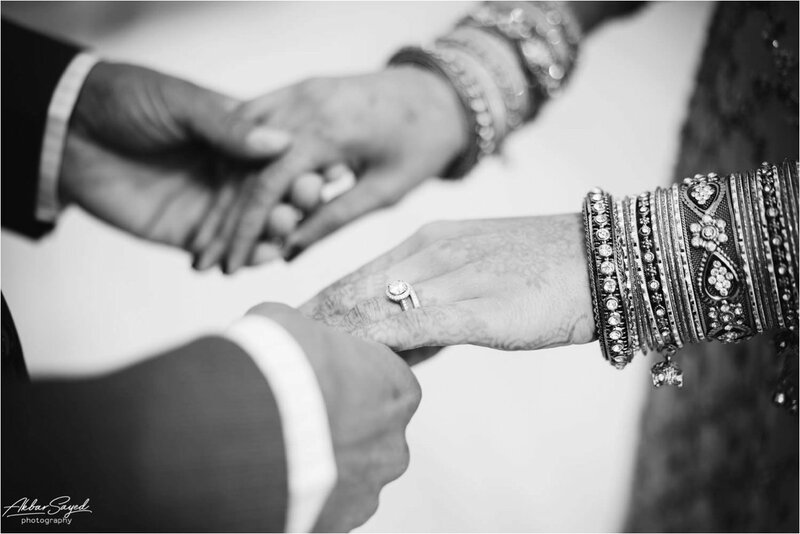 Congratulations—and best of luck together in your lives together!